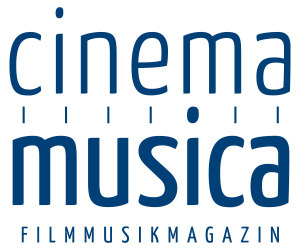 The Film Music Festival in Krakow (FMF), organised by the Krakow Festival Office and RMF Classic, is a captivating showcase of the highest quality musical interpretations of the moving image and one of the most important festivals in the world of film music. Performed by leading musicians and orchestras in Europe and the world, the festival provides a unique concert experience by setting it to live screenings of the world’s most spectacular films, well-known for their dazzling cinematography, top-class direction, enthralling plots, and emotive acting. This year the 8th edition of the Krakow Film Music Festival will feature an explosive and exciting program that will entice new audiences, entertain at mesmerizing galas and charm with emotional award ceremonies. It will be a breathtaking spectacle gathering thousands of passionate film music fans — says Izabela Helbin, the Director of the Krakow Festival Office, the organizer of the Krakow FMF. Counting over 40 years on the market, the video game phenomenon is not just about legendary titles, fantastic stories, cult figures or even the rapid development of technology. It is in large measure a reflection on the impact of distinct, emotional, absorbing, yet functional music. It is not surprising, then, that the world of video games also has its musical superheroes. One of them is Jason Hayes — Blizzard label’s chief composer, with Starcraft, Warcraft and the World of Warcraft to his name. It was Hayes who founded the band Critical Hit, gathering around himself soloists, who are recording music for major motion pictures and video games every day. It’s a real constellation of personalities, each with its own distinct fan club: Sara Andon (flute), Jason Hayes (synthesizers), Tina Guo (electric cello), Caroline Campbell (violin), Kevin Dooley (drums), Salome Scheidegger (piano). At the first concert in Europe, and the only one in Poland, Aleksander Milwiw-Baron (electric guitar) will join the band on stage. The concert will include new arrangements of the dark Diablo III, the epic The Elder Scrolls V: Skyrim, as well as the World of Warcraft, Final Fantasy, Legend of Zelda, Kingdom Hearts and Metal Gear Solid. We also can’t forget about the classics: Tetris, Pokémon, Super Mario and Angry Birds. Scoring4Wajda is the first in a series of concerts devoted to the music scored to films by the greatest Polish directors. The concert will be an attempt to discover the Wajda’s outstanding achievements through the prism of music used in films and the composers with whom he has worked. During the Gala, audiences will hear specially prepared concert suites by such eminent artists as Stanislaw Radwan, Wojciech Kilar, Zygmunt Konieczny, Krzysztof Komeda, Andrew Korzyński, Paul Mykietyn and Krzysztof Penderecki. 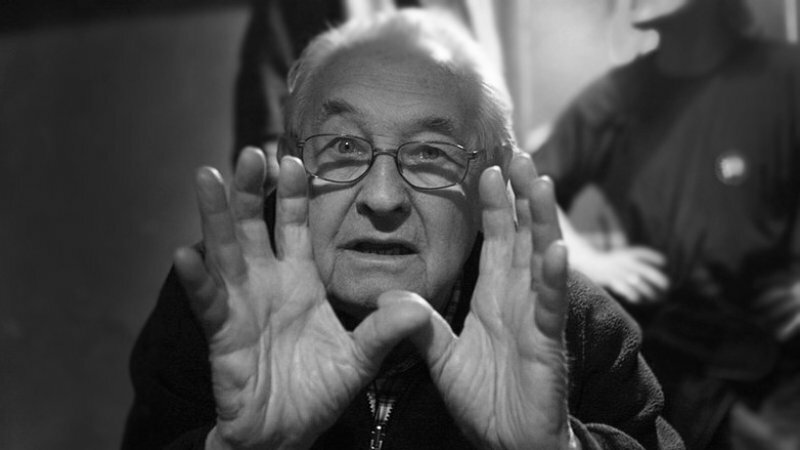 The program includes music written for films by Wajda, including: The Wedding, The Promised Land, Pan Tadeusz, Revenge,The Shadow Line, November Night, Innocent Sorcerers, Hunting Flies, Man of Marble, Sweet Rush and Katyn.The vast repertoire of Wajda’s music for film is enthralling. 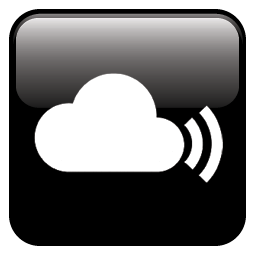 From folk and musical theater, jazz and big beat, to chamber music, experimental and electronic. During the concert, we will hear music that have left a mark on the history of Polish cinema — says Robert Piaskowski, the Artistic Director of the Krakow FMF. The Scoring4Wajda concert, performed by the National Polish Radio Symphony Orchestra conducted by Alexander Liebreich, will be presented twice: firstly, at the ICE Krakow Congress Centre and then, a day later, at the NOSPR Concert Hall in Katowice. During the concert at ICE Krakow, a deserving talent will be granted the first ever Wojciech Kilar Award sponsored by the cities of Krakow and Katowice, and the Alvernia Studios. 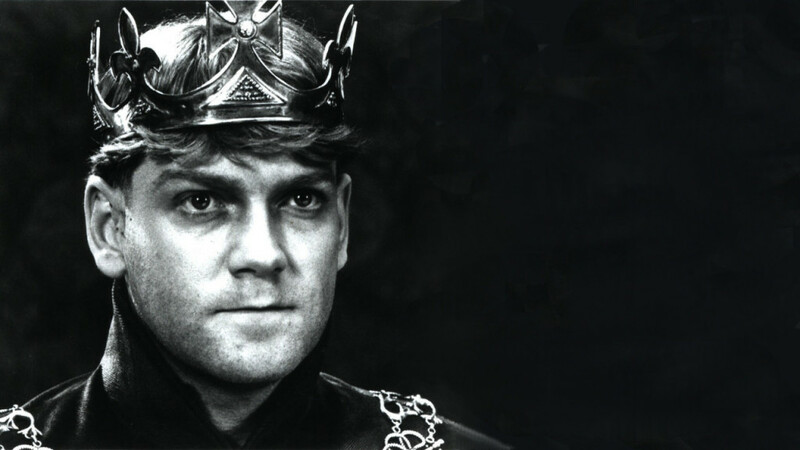 The most famous directors have taken Shakespeare to task. Over 410 films and television shows have tackled the works of the Stratford-based writer. The Shakespeare in Concert will pay tribute to the most famous musical adaptations. 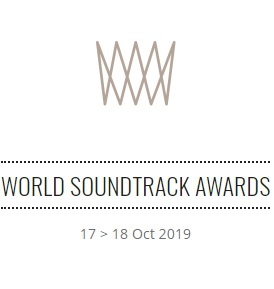 It will also welcome Patrick Doyle, Jocelyn Pook, Academy Award winner Stephen Warbeck, as well as the incredible awards winning pair Julie Taymor and Elliot Goldenthal. Nino Rota’s Romeo and Juliet(1968), Miklós Rózsy’s Julius Caesar (1953), but also fragments from Sergei Prokofiev’s ballet Romeo and Juliet and Ennio Morricone’s beautiful suite from Hamlet (1990) will stand out from the program, as will the Polish premiere of suites from Henry IV (2012) and the Oscar-winning Shakespeare in Love (1998). A special place in the concert program is held by the music created during the long-term cooperation between the Scottish composer Patrick Doyle and the undisputed authority on Shakespeare: Kenneth Branagh. In the program, we’ll also have Jocelyn Pook, British composer, multi-instrumentalist, known for her work with artists such as Laurie Anderson, Massive Attack, Ryuichi Sakamoto, Peter Gabriel, and Stanley Kubrick from his last picture Eyes Wide Shut. During the concert, we will hear beautiful music from The Merchant of Venice (2004) — the first screening of the Shakespearean drama with Al Pacino and Jeremy Irons in the lead roles. In the finale of the concert, a real treat for fans of film music: a world premiere of an epic Elliot Goldenthal piece. The Oscar winner will present a work based on themes from Titus, Othello, The Tempest and the latest film by Julie Taymor Midsummer Night’s Dream. The concert will be performed by the Beethoven Academy Orchestra and the Krakow Philharmonic Choir under the baton of the exemplary German conductor Christian Schumann. The Krakow FMF public has been waiting for this concert for years! The busiest composers in show business are those who create for the television screen and that is why welcoming the composers to Krakow is such a special event. A gala that will feature music from the greatest TV shows is bound to excite and impress. On the roster: Game of Thrones, The Borgias and Vikings. Ramin Djawadi will visit Poland for the first time. Djawadi is the composer of music for films like Equilibrium, Iron Man, Clash of the Titans, the video game Medal of Honor, as well as the high-profile TV series: Prison Breakand Game of Thrones. The latter HBO title brought Djawadi particular esteem. It is one of the most recognizable musical themes of the last decade: the cello-heavy main theme for the hit show has been reinterpreted in an infinite number of ways and musical styles. Especially for the festival, Djawadi is creating a suite which will have its world premiere in Krakow. It will connect all seasons of the show, freely mixing genres and drawing inspiration from the George R. R. Martin saga A Song of Ice and Fire. After two years, Trevor Morris, the great composer of music for television productions, movies and video games, returns to Krakow FMF. Morris is the creator of some of the most famous soundtracks, including The Borgias and The Tudors as well as the film Immortals. Gods and Heros. Another great title and a continuation of the collaboration with writer and producer Michael Hirst is the History Channel series — Vikings. This is a very precise reconstruction of the history, scenery, beliefs and customs of Scandinavia, which Morris illustrates musically by combining symphonic and electronic music with ethnic sounds. During the Gala we will hear the world premiere of a suite from Vikings. Einar Selvik, founder of the band Wardruna that performs folk and ambient music inspired by Nordic shamanism, will perform as a special guest of the concert. Morris and Djawadi are the first guests of the International TV Series Gala. Subsequent composers and soloists will be revealed live on radio RMF Classic. The international roster of artists, as well as the Beethoven Academy Orchestra and the Polish Radio Choir will perform under the baton of Diego Navarro, a conductor and composer beloved by Krakow FMF audiences. For the grand finale of the Film Music Festival we have prepared an extraordinary live performance of the American space-opera Star Trek (2009), directed by J.J. Abrams with monumental music from the Oscar winner Michael Giacchino. At a time when Kennedy’s visionary calls for space exploration and conquest were inspiring new discoveries and feats, the crew of the U.S.S. Enterprise explored uncharted intergalactic territories on the silver screen. The Star Trek series occupied a special place in Western culture, becoming an integral part of modern mythology. Michael Giacchino, composing the music for the film, did not have an easy task. He had to deal with the great predecessors and their musical imaginings of the world portrayed in the series (Jerry Goldsmith, James Horner and Cliff Eidelman). Especially for the simultaneous projection on screen, Giacchino has created a significant amount of new music, which we wouldn’t be able to hear in the original version of the film. This composer, famous for his elaborate use of brass instrumentalization, fully develops the potential of nearly 200-member orchestra and choir. The Tauron Kraków Arena will be the site of our two-hour journey into space, where Ludwig Wicki, along with Sinfonietta Cracovia and the Pro Musica Mundi Choir will guide us through a unique musical journey. More concerts, including FMF4kids and alterFMF, will be announced in March.